Discover the world of Reiki with renowned Reiki Master: Gillian Moxom at The Healing House. The Healing House in Geelong offers healings, education and workshops in relaxed, tranquil surroundings. The Healing House is your pathway to healing, personal empowerment and inner peace. 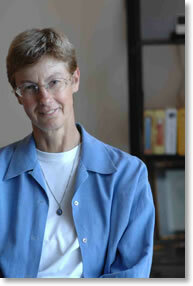 Gill has been a dedicated Reiki Master: Teacher and Healing Practitioner since 1996. She is a Reiki specialist offering pure Reiki Master Healings in Ivanhoe and Geelong. Gill teaches all phases of Reiki in Geelong. Gill brings her experience, sensitivity, care, acceptance and understanding to all Reiki Master Healings and Reiki Workshops at The Healing House. Connection with self, connection with others, connection with purpose. Gill brings a wealth of knowledge and experience to her Reiki workshops. She offers on-going support and opportunities to enhance your connection with Reiki and your Reiki skills. 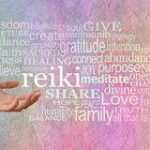 Gill is a fully accredited Reiki Master with the Australian Reiki Connection – Australia’s leading Reiki association and a member of the Association of Australian Reiki Professionals. She has studied counselling with The Cairnmillar Institute. All phases of your Reiki learning experience with Gill at The Healing House are in alignment with the Procedures and Integrity Standards of The Australian Reiki Connection and the Association of Australian Reiki Professionals. Gill is actively involved with a wholistic approach to her own life. She has Meditation as a part of her daily life, pursues physical exercise and consciously seeks opportunities to expand her Knowledge, Wisdom and Personal Healing, all with Reiki as the key. At The Healing House Reiki Workshops are limited to nine participants. This assures all participants receive personal attention and guidance as well as a supervised healing practice and healing experience throughout the workshop. As a bonus, at the conclusion of Reiki One and Reiki Two Classes, all participants receive a complimentary One Hour Personal Appointment with Gill. At this appointment, you will have the opportunity to receive a Reiki Master Healing. Gill will personally answer any questions you may have after the completion of your workshop. 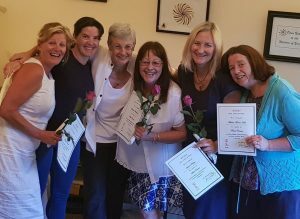 With Gill’s experience as a trainer and her dedication to Reiki, she brings clarity and patience, gentleness and calmness, compassion and understanding to her Reiki Training. She explains all aspects of Reiki with a down to earth and practical approach that is easy to understand and easy to bring into daily life.